As the colder weather sets in, it is a good time to start getting your car ready for winter. This is helpful if you live in a cold weather place or if you are planning to travel to colder weather for the holidays. 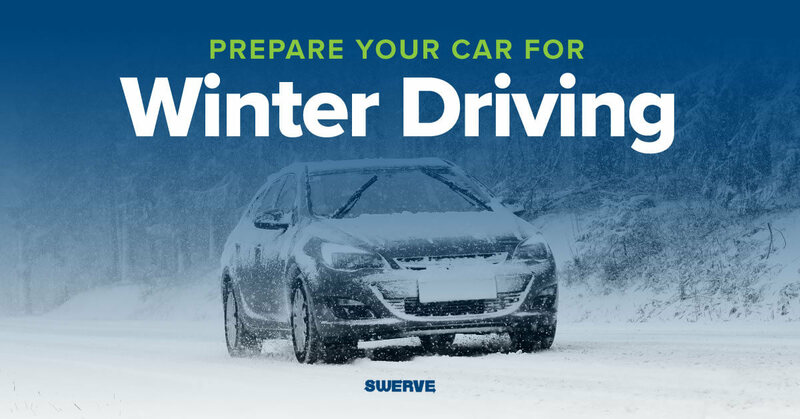 Here is a checklist for getting your car winter ready. 1. Get an oil change. Oil gets thicker as the weather gets colder, making it harder to keep your engine properly lubricated. It is more important than ever to make sure that you don’t go over the recommended limit, according to your owner’s manual. If you are close and winter is approaching, use this as a time to get it changed anyway. The last place you want to be when you discover your wiper blades need to be replaced is in a storm. Keep your visibility clear by checking and changing your wiper blades as the weather cools down. 3. Have a car checkup. Take your car into a trusted mechanic and have them give your car a checkup. They can check the battery’s ability to hold a charge and its connectors for corrosion. Look over the belts and hoses for wear and leaks. Cold weather can be hard on these car parts and making sure they are in good enough condition to last the season. One of the more important things your car needs during bad weather is good tires. There are two important qualities you are checking for on your tires, the tread, and the pressure. The tread is important because the less you have, the less traction you will have on the road. When driving through wet or icy conditions, traction is important in keeping control of your car. Tire pressure is also important for traction. In colder weather, the pressure will drop slightly, making the ability to control your car more difficult. If you live in an area that often gets deep snow, consider switching to snow tires or carrying chains around just in case you need them. 5. Try your four-wheel drive. Most drivers don’t use four-wheel drive during the summer months, so make sure it is working properly by turning it on before you need it. Review how to turn it on and check that it engages and disengages easily. Antifreeze is critical to making sure that your radiator doesn’t freeze, even in arctic temperatures. Having the correct mixture of antifreeze and water is critical. Talk to a trusted mechanic or to help check and mix it correctly and to properly dispose of your old antifreeze. 7. Prepare for the worst. Keep extra items in your car that might be required on the road, such as an extra pair of wiper blades, equipment to change a tire, a flashlight, water bottles, and some snacks. If possible, also have an external charger for your phone, just in case you need it. These steps are a great starting checklist for getting your car ready for winter. If you talk to a mechanic or think of other things you can do to help prepare, make your own list. Keep a list somewhere safe so you can refer to it next winter.